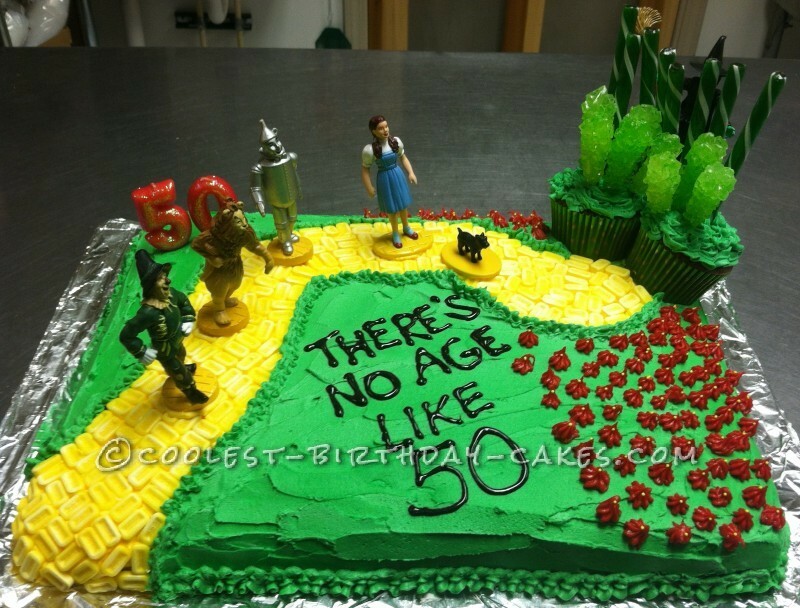 I made this Wizard of Oz birthday cake for my mother in law’s 50th birthday as she is obsessed with everything Wizard of Oz. After looking at many other examples, this is what I came up with without using fondant. I’m not a big fan of working with fondant or the way it tastes. The pez yellow brick road was a big hit, though I will admit finding all yellow pez was a little more difficult that I had thought it would be. 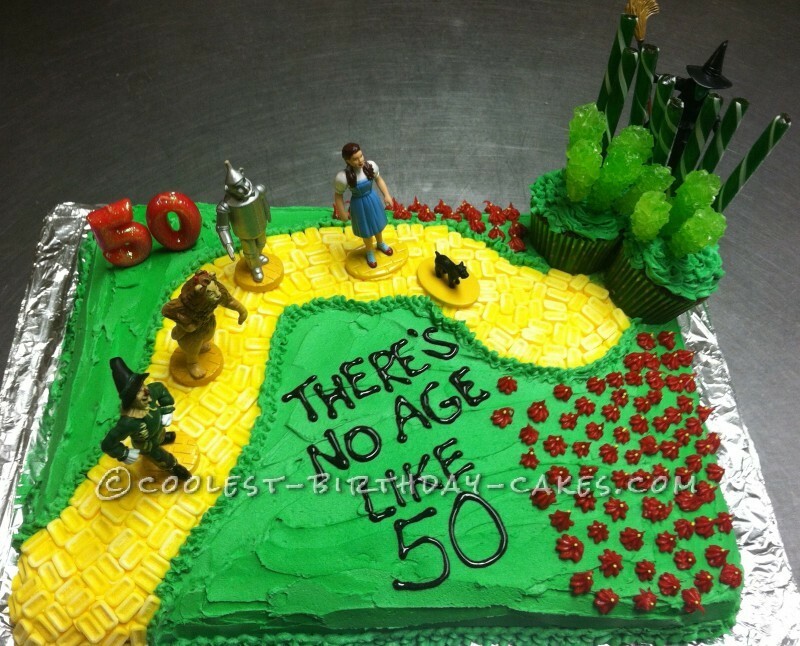 The “Emerald City” didn’t quite come out the way I wanted it to when I had to downsize the cake and make some last minute changes, but all together everyone really loved it and I enjoyed making it just as much! I had also made a giant edible rainbow out of candy that was supposed to go over the city which didn’t survive transportation but I still have plenty of pez left in the event I repeat this cake in the future.